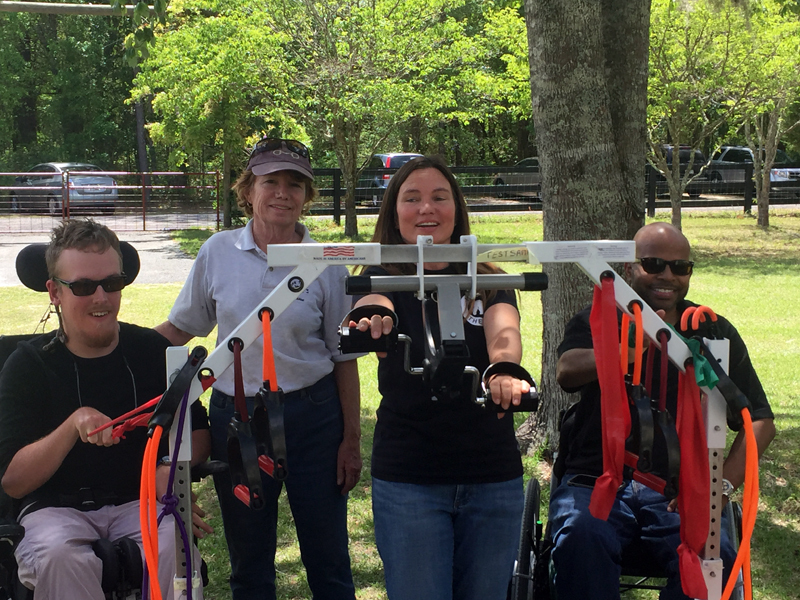 April is ''PVA Fitness Awareness Month''- Veteran and Executive Director Sherman Gillums tests the Ultimate Workout and Recovery Exercise and Rehab System at Hope Therapy Ranch in Jacksonville! JACKSONVILLE, Fla. - April 13, 2017 - It's Paralyzed Veterans of America Awareness Month, and during this important time to being a raised consciousness of our veterans who have sacrificed so much for our nation, Ultimate Workout and Recovery Systems have provided Hope Therapy with its revolutionary exercise and rehab system targeted to assisting the disabled community achieve a total body workout with the help of enthusiastic Occupational Therapists and Caregivers. Executive Director Sherman Gillums went on a PVA Awareness Month health & fitness mission to the Hope Therapy Ranch in Jacksonville this past Monday. 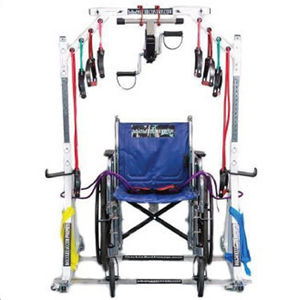 While there he tried out the Ultimate Workout And Recovery machine used by ranch Occupational Therapists for people of all ages with mobility issues, which should be utilized from a sitting or laying down position and even while standing with assistance. "I was really excited that Director Gillums, himself a paralyzed veteran, was able to use our system, and realize how vital it is to aiding anyone in a bed, in a wheel chair or with other mobility issues, achieve a full complete and invigorating workout." Dr. Sam Salamon , CFO of Ultimate Workout and Recovery a subsidiary of Stuck in Bed Fitness Solutions LLC goes on to exclaim. "Our goal is to provide these life changing and life enhancing systems throughout the country, targeting the millions of veterans at home and others in need of a unique and outstanding system to aid in their physical and holistic therapy, as well as provide just a general workout for their own overall health and well being wherever they might be at any stage and any age." The UWAR Exercise System has 100 different uses, providing a quick and fun workout. 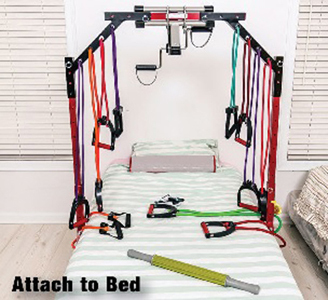 It's easy to setup, adjust and store and may be used from a recliner, a bed or a wheelchair. The workout is low impact, with variable resistance bands and no free weight risks. It's based on proven movement therapy principles and provides an expedited and more creative therapy session. It's cardio and MUCH more while in a bed or chair! This revolutionary product is every Mom's,Therapist's and Caregiver's best friend!